Update: This article was written on July 23, 2014 at 6:00 PM EST. I speculated that the Bitcoin price could possibly at a new temporary price floor of $620. On the morning of July 24th, the price fell drastically into the low $600s and even dipped down into the $590 range. So, clearly, my speculation about a new temporary price floor was inaccurate. However, the $600 price floor that I stated had been established after the Silk Road auction has finally been tested and has been proven true. The Bitcoin price fell into the $590s, yes, but it recovered and stayed in the low $600 range. Therefore, the current temporary price floor is indeed $600. The Bitcoin community has been unable to identify a cause of the price drop on the morning of July 24th. However, I believe that this confusion comes from the fact that the majority of the community failed to see the impact the Dell news had on the price, which I have outlined below. I believe that the people who bought due to the Dell announcement were disappointed in the perceived lack of directional pressure the news had and then sold. Adding a small, fear-induced reaction to that sell off, we come to a reasonable explanation for the drop in price. Additionally, it is also possible that a person, or several people, with substantial amounts of bitcoin decided to cash out, shifting their valuations of Bitcoin so that it is less than their valuations for fiat. This shift in valuation could very well have been due to a disappointment in Bitcoin price movement following the Dell news, with the sellers not happy with the prospect that the Bitcoin price would remain around $620 for the foreseeable future. Basically, I’m a bit confused by this, but the reason is there, even if it is hidden. A few days ago, the Bitcoin community received a major piece of news. 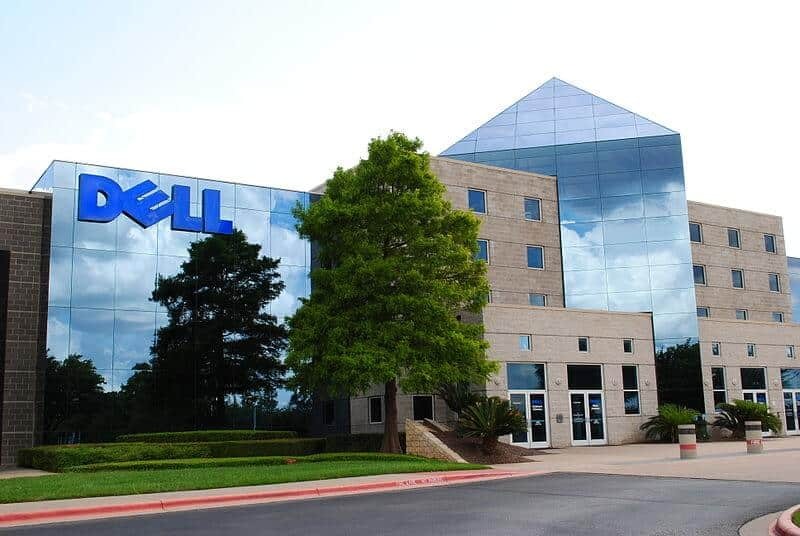 Dell, a multinational computer technology company, decided to accept Bitcoin as payment for any products sold on their website within the United States of America. Upon hearing this news, the Bitcoin community exploded in excitement. With the image of using bitcoins to purchase merchandise from one of the largest computer technology companies in the world, individuals in online forums throughout the Bitcoin community rejoiced with each other and contemplated which Dell product they would buy first with their crypto-currency. Given a news story of such magnitude, many people—myself included—expected the Bitcoin price to soar. And these expectations were not without reason; Bitcoin has historically been prone to massive increases and decreases in price upon the announcement of any major news. However, the Bitcoin price seemed to have a lackluster reaction to Dell’s announcement. Presently (July 23, 2014 at 6:00 PM), the price sits at $621. This apparent rigidity has raised suspicion that news does not actually affect the Bitcoin price; but, then, what does affect change in the markets? We have covered in a previous article that changes in the Bitcoin price are always due to the actions of individuals acting on the market; we know that much is certain because of the logical truth that individual human beings are the ones responsible for shifts in the market because they are the ones who are in fact buying, selling, and hoarding bitcoins. Furthermore, since news is merely the distribution of recently documented human action, news stories will undoubtedly have an impact on the Bitcoin price. It is, however, a seemingly justified reaction to say that news apparently does not make much of a difference in the price—considering the supposed staticity of the price following the Dell announcement. But when examined a little deeper, this reaction is only justified on the surface. Even if the Dell announcement did not produce any movement in the Bitcoin price (which we will see briefly that this actually was not the case), it still had influence in the market insomuch as it convinced people to not sell. Thus, the Dell news, or any major news event, may not exert upward or downward pressure on the price, but it very well could secure a relatively stable price. Therefore, all news has an effect on price; even abstention from buying or selling is a deliberate decision on the part of the individual in question, so it must be classified as purposeful action. Thus, even news that would not have a major impact on price movement in any event can at least contribute to a growing confidence in Bitcoin that can serve to eliminate price volatility. Now, I must concede that, in the second installment of my tutorial in how to conduct proper Bitcoin price analysis, I said that, “The most influential actions have large impacts on the bitcoin price, so the most important pieces of news are those that cover major players in the Bitcoin community or cover breakthroughs—or setbacks—in mainstream adoption.” This statement may be construed to mean that all major news stories necessarily produce movements in the Bitcoin price, but this interpretation is misguided. Although, such an interpretation may be the result of a failure on my part to fully elaborate on the role news plays in changes on the market. In any case, I will further clarify this role now. While only the most influential news stories will have substantial impacts on the Bitcoin price, major news developments will not always impact the price. What is meant here is that news does not, in every instance, have a positive or negative pull on the price; when it does, however, the news will certainly be of a particular magnitude and quality. And here I will reiterate: any news, monumental or mundane, always has some impact on the Bitcoin price, even if it is a discouragement of any upward or downward movement. A tendency to hold, to refrain from both buying and selling, is just as much of a consequence of provident action as a surge in buy or sell volume. In conclusion, the Dell announcement—regardless of a perceived (although misinformed) lack of upward Bitcoin price pressure—did indeed have at least a stabilizing effect on the Bitcoin price. The Belief that the Dell Announcement had no Directional Impact on the Bitcoin Price is Misguided. One of the more notable sources of the perception that the Dell news exerted no directional pressure on the Bitcoin price comes from BitBeat, a daily Wall Street Journal blog. The authors, Paul Vigna and Michael J. Casey, asserted that there was a disappointing lack of movement in the Bitcoin price following the Dell news. Vigna and Casey may very well have been disappointed, that is purely a subjective valuation, but there was definitely not a lack of movement in Bitcoin price after this news hit the community. A brief look at a price chart with an hourly volume metric will confirm as much. Dell itself issued its announcement that they would be accepting Bitcoin as payment for their products at 9:57 AM EST on July 18, 2014. At 10 AM EST, the Bitcoin price was approximately $621. News websites began reporting on this news, which made their way to the front page of /r/Bitcoin, sometime in the early afternoon. PCMag published an article reporting on the Dell announcement at 2:22 PM EST on July 18th (we will round the time up to 3 PM for convenience),with the price hovering around $619 (at 3 PM), so we will use this time (the rounded time of 3 PM) as a starting point for following the change in both trading volume and price that came as a result of the Dell news. A little over an hour and a half after PCMag reported on the news, at 4 PM EST, there was a surge in buy volume and thus an increase in price. The peak of the surge occurred at 5 PM EST and the price reached approximately $633 by the end of the surge, at 7 PM EST. So, between the hours of 3 PM and 7 PM EST, the Bitcoin price increased by 2.26%! We can safely assert that this increase in the Bitcoin price came as a direct response to the Dell announcement because the surge in buy volume happened exactly 98 minutes after PCMag posted their article—which is being used here as a starting point for all coverage of the Dell announcement as well as a starting point for the news hitting the Bitcoin subreddit; reports very well could have surfaced earlier than PCMag’s, which would produce a minor difference in the percent increase from that which was stated here. However, this difference would not negate the fact that the price did jump into the $630s as soon as the news had enough time to circulate throughout the Bitcoin community. Why was the Bitcoin Price Response to the News so Small? One could argue that this change in the Bitcoin price did not come as a result of the Dell announcement, but was merely the product of normal trading because the price did not move beyond the sideways range that has persisted ever since the Silk Road auction. In response to such a claim, I would have to say that, although it did not fully break the sideways trend, the Dell announcement has possibly set a new, temporary price floor within the sideways trend, thereby making it more of a slow-moving uptrend. I make this statement because I believe that there is sufficient evidence to suggest that the market indeed had a direct response to the news, and the Bitcoin price has consistently remained at or above $620 since the announcement circulated throughout the Bitcoin community—with only minor drops below $620, which recovered almost immediately. However, it cannot be denied that a 2.26% increase in the Bitcoin price is largely insignificant when looking at the vast price fluctuations that have occurred during Bitcoin’s short lifespan. Additionally, as the BitBeat post noted, recent news stories that I myself would consider “major” have had relatively small impacts on the Bitcoin price when compared to historical price movements. The Dish Network announcement only produced a $40 increase in the price, the EBA report brought about a mere $10 decrease, and the Expedia announcement did not have any noticeable, directional impact on the Bitcoin price at all. (We cannot, though, say that it had no impact on the price for the reasons stated above; it may have had no directional influence, but it impacted the price as far as it contributed to a building confidence in Bitcoin and thereby cutting down on price volatility). Thus, we can see that people are not only refraining from buying, but that they are refraining from selling as well. In other words, people have been hoarding their bitcoins at an increasing rate. This hoarding should not be considered a negative in the slightest, however. People are merely holding their coins because they are expecting the price to be much higher in the future then it is presently. This hoarding is keeping the Bitcoin price steadier in the short-term—making it easier for people who are spending their bitcoins to calculate the coins’ value in dollar terms—while gradually appreciating on a longer time scale, as the stream of relatively large, positive news developments in the Bitcoin community gradually increases demand beyond the supply available for purchase. Therefore, the 2.2% increase in the Bitcoin price in response to the Dell announcement is a significant event under these new circumstances! Just like a stock, a movement by a few percentage points could be the new norm in terms of “large” shifts in price. If this trend of small Bitcoin price reactions to major news stories persists, then we could likely see a very gradual price climb, since trading volume will remain both low and steady. That is, of course, until developments in payment technology make it much easier to use Bitcoin as a currency rather than an investment vehicle. New developments, such as the Xapo debit card, will smooth out the learning curve involved in using Bitcoin and will make the overall monetary system much more attractive than the government controlled, fiat currency system. When these technologies are refined and made reliable, buying volume will soar, along with the Bitcoin price. But for now, we may just have to be content with small gains in the Bitcoin price. Hope this is going to work!